Slippers on your hands make you go faster. At least that’s the idiom many young local kids believe. Painted by Mung Monster and Whomu of MOK, it’s a perfect mural for the boys at the Bike Factory. 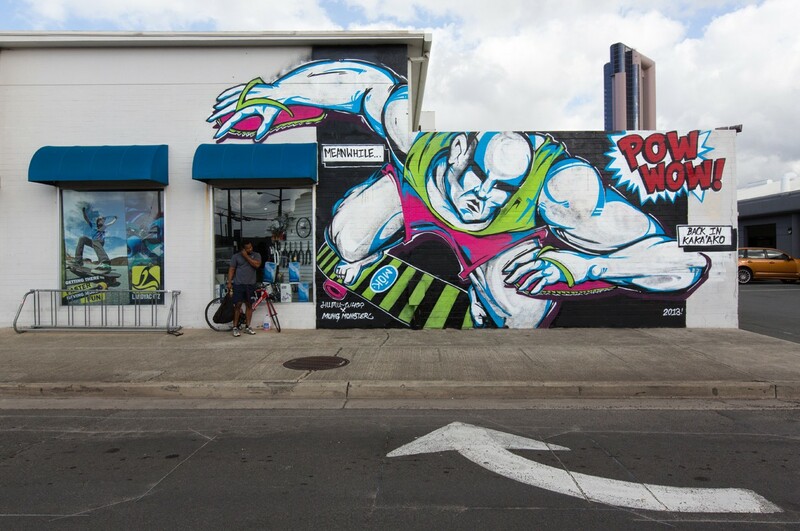 Located on the corner of Ala Moana boulevard and Cooke street.